LONDON, UK - 19 SEPTEMBER 2015: Wide angle view of traffic travelling across London's busy Oxford Circus, the junction where the major shopping districts of Oxford Street and Regent Street cross. 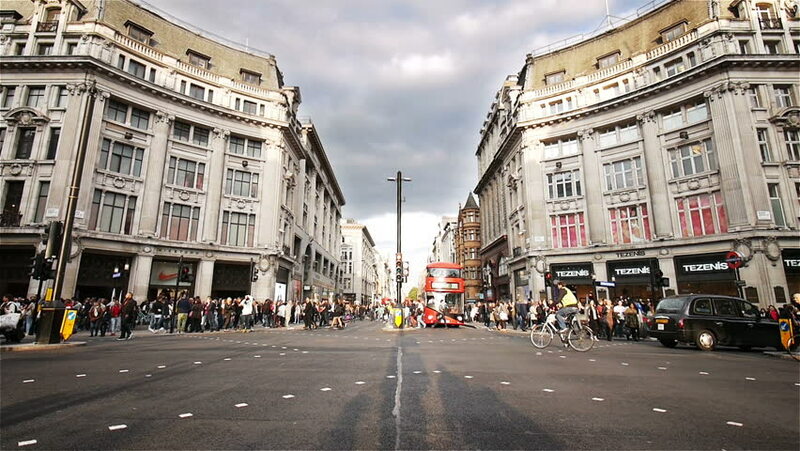 hd00:17LONDON, UK - 19 SEPTEMBER 2015: A wide-angle view of the west side of Oxford Circus in the heart of London's shopping district. hd00:08St - Petersburg, Russia - June 29, 2017. POV. point view of Nevsky Prospect in historical part of downtown at cloudy day. Low angle camera view. 4k00:15BARCELONA, CATALONIA, SPAIN - Circa October, 2014 - A tourist's point of view of riding in a tourbus through the downtown area of Barcelona.